20 goals, 37 assists, and a +35 rating in 14 games. Those are the combined numbers for William Karlsson, Jonathan Marchessault, and Reilly Smith against the San Jose Sharks since joining the Vegas Golden Knights. In the playoff series last year, the Golden Knights top line went off, scoring eight goals and racking up a total of 25 points. One of the three scored a goal in every game of the series save for Game 4 when Vegas was shut out. They all posted a 54% Corsi at even strength, owned 55% of the scoring chances while playing against the Sharks top players, and scored six goals while allowing just one. Nothing has changed this season either. Karlsson has scored three times in four games against the Sharks, Smith has a goal and six assists, Marchessault has two goals, and all three are at least a +4. 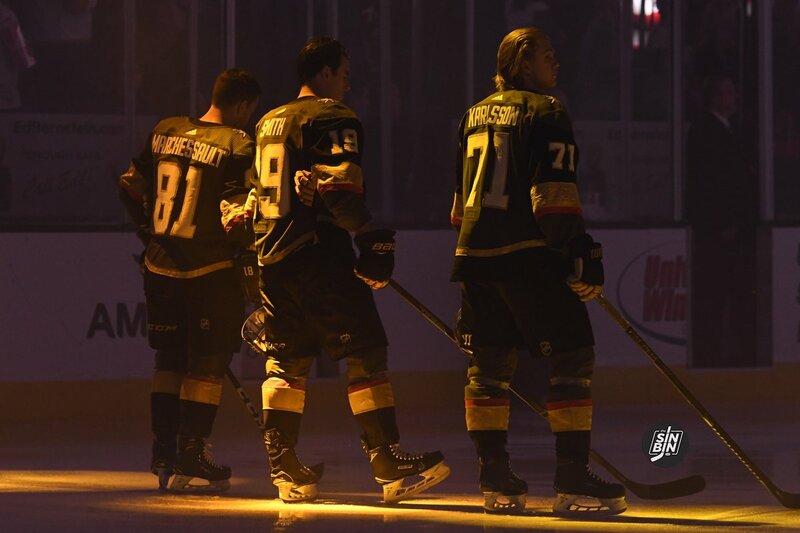 All in all, the Golden Knights top line have averaged 1.43 goals, 2.64 assists, and +2.5 per game against San Jose. This must continue as we head into the first round series with the Sharks. San Jose has one of the most balanced forward units in the NHL, but what they don’t have is a truly dominant first line, either offensively or defensively. Therefore, Karlsson, Marchessault, and Smith should have a favorable matchup each and every time they step on the ice. Since the Trade Deadline, when the Golden Knights added Mark Stone and the Sharks picked up Gustav Nyquist, the Sharks have deployed Nyquist (with Timo Meier and Logan Couture) primarily against Karlsson, Marchessault, and Smith. It has not gone well for the Sharks… to say the least. In about seven and a half minutes against the Golden Knights top line, Nyquist has been on the ice for five goals while scoring just one, his Corsi is 33%, and his team has landed just three shots with him on the ice. It’s not much better for Meier or Couture either as both have also been on the ice for at least three goals against as well. All this being said, the Golden Knights are well aware of how good the Sharks can be and continuing this torrid pace is a task easier said than done. 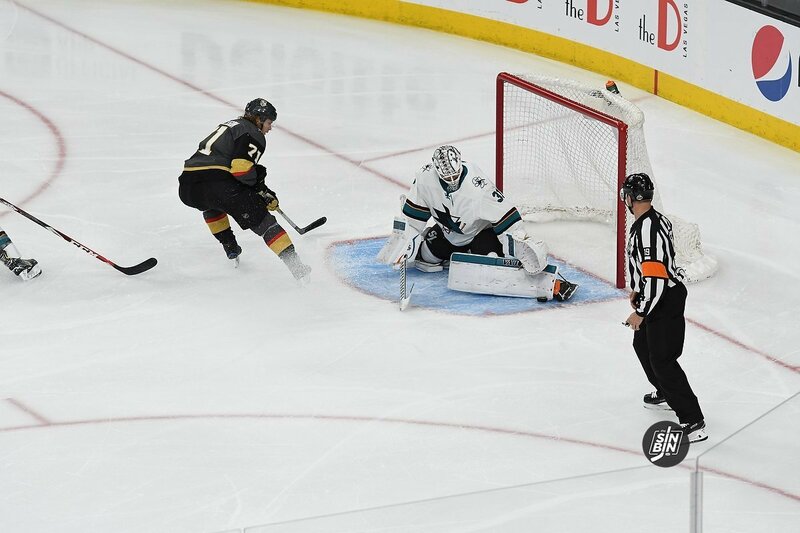 It’s nothing new for the Golden Knights to be reliant on the line of Karlsson, Marchessault, and Smith, but it’s certainly something to keep an eye on as the Sharks attempt to adjust in the series. Much of Vegas’ dominance over San Jose has been because of the top line. If they keep it up, the Golden Knights could cruise, but if they don’t, this series could go much differently than VGK/SJS games in the past.